Relaxing and enjoying life has risen to top priority, and for good reason. The nine-to-five grind is over and the kids are long gone, leaving you with few responsibilities and plenty of time to spare. You can hear greener pastures beckoning, whether it’s a home near the beach, in the woods, or just outside a quaint little town with a slower pace. You’d save money — and hassles — by downsizing to a smaller property, which has become the norm these days. If lower utility bills, less maintenance and a windfall from the sale of your current home sound attractive, then get moving — literally. Although relocating has its own set of obstacles, the end goal makes the effort worthwhile. Here’s some advice to help you navigate the process. It’s important to sell your house quickly and at a good value. Getting the most out of what was likely your biggest investment ever means finding a highly qualified real estate agent and putting your property on the market at the right time. For most parts of the country, that means late spring, which could net you a few extra grand in profit. To get an idea of the ballpark figure, houses in Boston, Massachusetts, sold for an average of $660,000 in the last month. 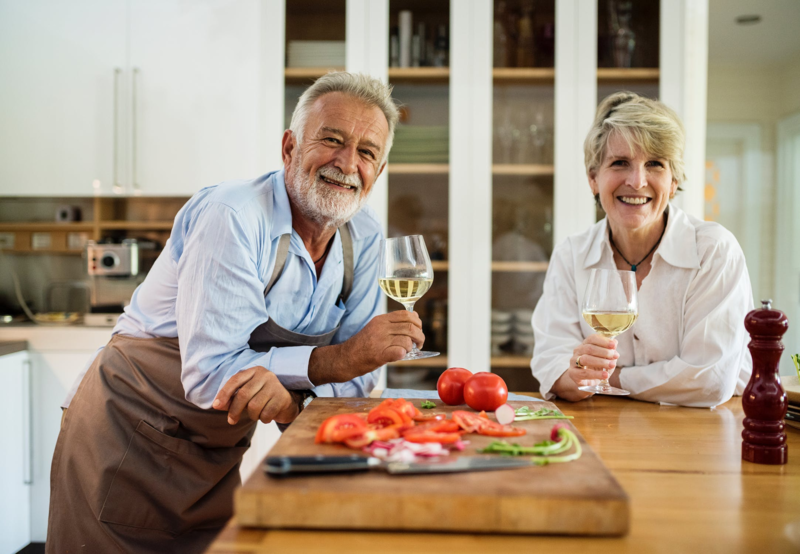 Next, it’s time to find something less expensive so you can add some money to your retirement income, but not anything too small, as you still need space for recreation and visiting relatives. You’ve likely chosen the area where you want to live based on climate and convenience, but the specifics are still up in the air. Some online research can give you an idea of home prices and their relation to the number of rooms and location. You may even find a few places to visit. You can’t take it all with you to that smaller home, which was the whole point to begin with. Decluttering is a must if you want to get rid of what you no longer need, though everything seems to have a sentimental value attached to it. Be brave and even ruthless if necessary. Lifehacker suggests imagining that you lost everything in a fire and asking yourself what you would actually replace. You can donate the rest to charity. Although you may be able to do it faster, it’s recommended that you get started three to eight weeks in advance. This gives you ample time to choose the best moving company and deal with anything unexpected that comes up. The average cost of moving to a three-bedroom house within Boston is around $1,230. When it comes to packing, leave items like towels and linens in their drawers, as they can be shipped along with the chests and cabinets they’re found in. However, remember to keep valuables separate from the rest of your stuff. Before you start unpacking upon arrival, have a close look around the house for potential modifications that would make it safer and more comfortable. For example, you may want to widen doorways for mobility or lower countertops in the kitchen so lunch and dinner are easier to prepare. Also, updating heating and wiring systems could lower the amount you pay in homeowners insurance premiums. Once you’ve unpacked, it’s time to explore the area so you can become one of the locals. Head out for a drive, or take a walk so you can find nearby necessities like the bank, supermarket, and post office. Living on a smaller income means needing to cut costs where you, which can be simple if you look for extra ways to save. For example, instead of paying for pricey gas and parking, consider investing in a bus pass. Most importantly as you settle in, make a point to introduce yourself to the neighbors, as they’re likely wondering who you are. Giving yourself time to find the right property, packing and moving efficiently, and getting to know your new neighborhood are all part of the process. Before too long, your new home will feel lived in and comfortable, and you’ll be saving money and able to enjoy retirement with extra peace of mind.